I’m good; just super busy. No set-backs, health-wise. Just swamped at work and busy at home, too. 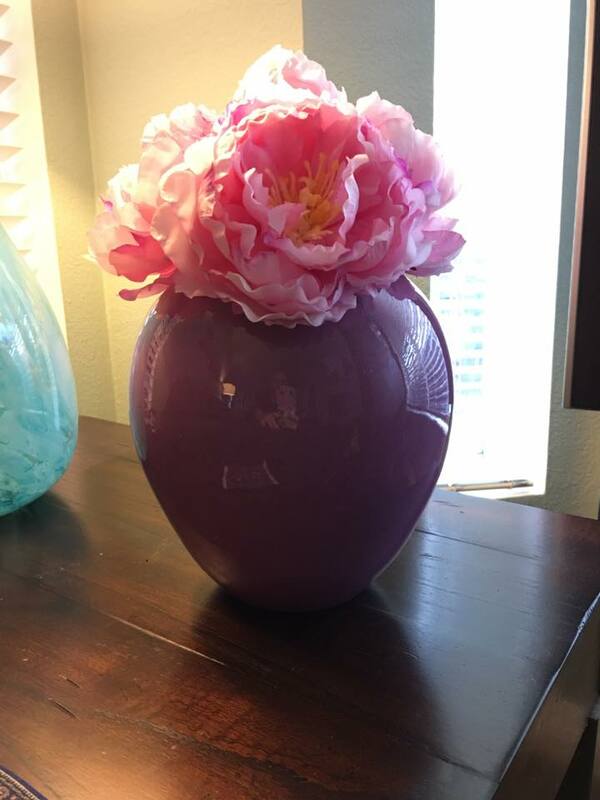 I’ll leave you this photo of this pretty lavendar-pink vase I got, and the silk flowers, with a gift card I had, so it was free free free! Hope all is well. Sorry I haven’t developed a consistent habit again of blogging. I’ll catch up sometime this weekend. This entry was posted in Uncategorized on March 16, 2017 by Silver Willow. Love that vase and flower! We all need to treat ourselves from time to time. Beautiful! Nice to hear from you! Glad to know that your feeling okay, and free gifts are always good! this is a perfect post really. lets us know you're ok.
and it's beautiful to look at. that flower looks totally real! That is such a pretty gift to receive for free. It's nice to hear from you! Hope you enjoy a wonderful weekend. Yay! Glad you are doing ok.
Really glad to hear things are OK with you. Sometimes, it's really hard to keep up with the blogging. I know I've been having a bit of a struggle with it lately. That's a beautiful vase and equally so the flowers.